RELEASE FROM ENTERGY NUCLEAR FOLLOWS. occurred when a generator stator fell as it was being moved out of the turbine building. been brought to the site to manage the situation. federal, state and local officials. revenues of more than $10 billion and approximately 15,000 employees. Entergy Operations, Inc.’s online address is entergy-nuclear.com. 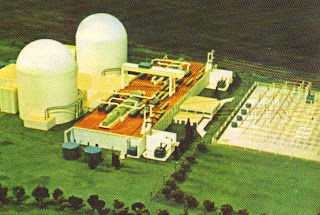 Atomic Power Review is proud to host the 150th edition of the Carnival of Nuclear Energy today; even though this Carnival falls on Easter, it's important to remember that those employed in the energy industry don't get holidays off -- your lights are probably on today -- and so in that spirit I made the clear decision to publish on Easter. As is always the case here, there's a guessing game before we get to the Carnival entries. So, I ask you -- What is This? It's very colorful, isn't it? And yes, it's floating. (Click the picture to enlarge it.) 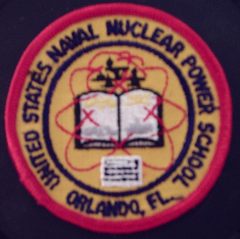 And, yes, this absolutely has to do with nuclear energy. It's my hope that this will be among the easiest of these I've ever done, because I would imagine that if you'd EVER seen this thing in person or in photos, you wouldn't have forgotten what it was. I'll give you the answer and some background after the Carnival - so let's get to it! At ANS Nuclear Cafe, "Framing the Discourse"
"Framing" is the way people use words and concepts to present their point of view in an understandable and appealing way. Meredith Angwin gives an example of nuclear opponent framing, and invites people to do some pro-nuclear framing. An excellent comment stream contains many frames that will be useful for all nuclear advocates. At Yes Vermont Yankee, Specific Power Sources in Vermont - VTEP Report. After the Vermont utilities contract with Vermont Yankee ended, the utilities made extensive purchases of "system power" from the grid, and power from Millstone and Seabrook. Residential electricity prices have gone up 5% in Vermont, though electricity prices have fallen in most of New England. Nuclear energy offers a solid path to a sustainable future, but nuclear energy advocates and business leaders need to take action to solve the biggest hurdle inhibiting atomic abundance. At Hiroshima Syndrome, "Where is the Water Going?" There is little doubt that cooling water is leaking out of the (three damaged units') reactor systems and into the outer reactor buildings' basements, and from there to the attached turbine buildings' basements. The question is the path of the outflows. Evidence suggests it isn't coming from inside the primary containments, but rather from piping outside of them. "Nuclear Pulse Propulsion: Gateway to the Stars"
"Inherent and engineered safety: Did Weinberg predict today’sreactors a quarter century ago?" A new nuclear fusion microbomb propulsion design for a spaceship to Mars that would travel at 200,000 miles per hour. This would enable a travel time of about 2 weeks. Winterberg had microexplosion designs that were the basis for project Daedelus. At Entreprenuclear, actually using energy is contrasted with the concept of "Negawatts", with 2 intended takeaways. 1. Using energy does not make you a bad person. 2. Avoidance of energy usage is not inherently morally superior to the numerous positive uses of energy. At Nuke Power Talk, Gail Marcus reports on a study in Japan comparing thyroid anomalies in children in the Fukushima area to thyroid anomalies in children elsewhere in Japan. Not surprisingly, they find no major differences, thus debunking previous concerns that effects were already showing up--something those of us in the field realized could not be true. On a lighter note, Gail Marcus has another blog in Nuke Power Talk this week reporting that her book, "Nuclear Firsts: Milestones on the Road to Nuclear Power Development," was now selling for a few hundred dollars a copy on Amazon! Her first reaction was to buy out ANS's stock and resell the books herself, but she wrote a blog on what she had seen and got a very helpful response from Steve Skutnik reporting on how the robo-pricing works in the wonderful world of on-line sales. "Battery State of the Art"
Did you know that the state-of-the-art battery installed for $44 million at the Notrees wind farm in Texas is of the lead-acid type? Or that it can only supply electricity for 15 minutes? And costs 134 cents per kwh? Maybe ARRA should have funded modular nuclear instead. That's it for this week's Carnival entries. All that's left now is to tell you what that Technicolor riot painted ... thing ... was that you saw at the head of today's Carnival. 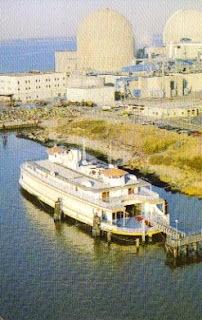 "The Salem Nuclear Generating Station's floating information center, The Second Sun, is a ferryboat which was launched in 1901. It is a vessel that reflects a bygone era whose charm and fascination is now preserved. During its years of transporting hundreds of thousands of passengers back and forth across the Hudson between Jersey City and New York, the Elizabeth, as it was then named, was owned and operated by the Jersey Central Railroad. 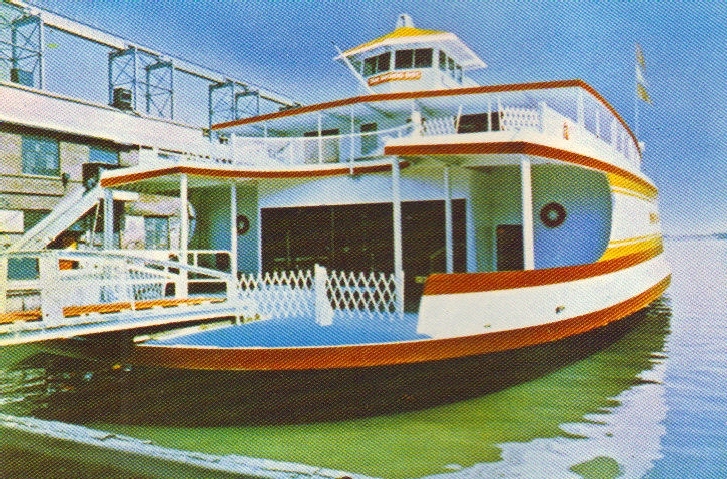 Public Service Electric and Gas Company purchased the vessel after its last run in 1967 and refurbished it. It is now a novel and adventurous nuclear information center which can be conveniently moved from one city to another to bring the story of nuclear energy to people living in the four-state area of New Jersey, Pennsylvania, Delaware and Maryland. Also on board The Second Sun is a large classroom area for special lectures to school groups and clubs. The entire ferryboat is air conditioned. The vessel's giant steam engine is still intact and ship enthusiasts may view it by special appointment. Truly, the romance of a bygone era has joined hands with a new adventure of the future." 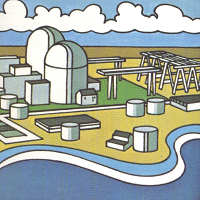 The Second Sun, as described above, included a wide number of displays covering the development of energy and its use over the decades, and included (as seen below) a model of the Salem Nuclear Generating Station. As a postscript, I'll just add that The Second Sun did not immediately meet its end when PSE&G was through with it. It became a floating restaurant for a time -- a Hooters of all things -- and then later sank at its pier. Eventually, the ship was towed to sea and sunk as part of an artificial reef. I hope you've enjoyed this week's Carnival! BEIJING, March 29, 2013 – Westinghouse Electric Company, its consortium team member CB&I, China’s State Nuclear Power Technology Corporation Ltd. and Shandong Nuclear Power Company Ltd. of China Power Investment Corporation today announced the successful setting of the AP1000 containment vessel top head (CVTH) for the nuclear island of Unit 1 at the Haiyang site in China. Placement of the CVTH, which weighs approximately 659 tons, was completed at 9:36 a.m., China Time, on March 29. It was manufactured by Shandong Nuclear Power Equipment Manufacturing Company Ltd. in China’s Shandong province. The setting of the CVTH for Haiyang Unit 1 is another significant step this year in Westinghouse’s delivery of China’s four AP1000 nuclear power plant units, following the successful placement of the CVTH at Sanmen Unit 1 on Jan. 29. The achievement further demonstrates the company’s commitment to the safe, high-quality and efficient delivery of its AP1000 plants worldwide. “This is a notable milestone in our delivery of Haiyang Unit 1, and represents the solid progress that we continue to achieve at the site. Multiple pieces of critical equipment were required to be manufactured, tested and placed into the containment vessel before the setting of the CVTH could be accomplished,” said Deva Chari, Westinghouse senior vice president for Nuclear Power Plant Project Delivery. “We are pleased to mark this milestone with our partners, suppliers and customers, and to continue to work closely with them to bring the benefits of the AP1000 plant technology to the citizens of China,” Chari said. Westinghouse and CB&I signed landmark contracts with Chinese customers in 2007 to provide four AP1000 pressurized water reactors in China: two in Sanmen in Zhejiang province, and another pair in Haiyang in Shandong province. Westinghouse Electric Company, a group company of Toshiba Corporation (TKY:6502), is the world's pioneering nuclear energy company and is a leading supplier of nuclear plant products and technologies to utilities throughout the world. Westinghouse supplied the world's first pressurized water reactor in 1957 in Shippingport, Pa. Today, Westinghouse technology is the basis for approximately one-half of the world's operating nuclear plants. For more information about the Westinghouse AP1000 reactor, visit the Westinghouse AP1000 site. AP1000 is a trademark of Westinghouse Electric Company LLC. All rights reserved. CB&I (NYSE: CBI) is the most complete energy infrastructure focused company in the world and a major provider of government services. Drawing upon more than a century of experience and the expertise of approximately 50,000 employees, CB&I provides reliable solutions while maintaining a relentless focus on safety and an uncompromising standard of quality. For more information, visit www.CBI.com. Press release from Southern California Edison reproduced below. ROSEMEAD, Calif., March 22, 2013 — Southern California Edison (SCE) is considering voluntarily submitting a license amendment request to the Nuclear Regulatory Commission (NRC) to support the restart of Unit 2 of the San Onofre Nuclear Generating Station. The amendment is consistent with SCE’s plan to operate the unit’s steam generators at 70 percent power as a conservative safety measure. SCE is requesting a meeting with the NRC to discuss the possible amendment. This meeting, which would be open to the public, would provide an opportunity for SCE to discuss with the NRC the scope and content of a potential amendment to ensure it meets regulatory requirements. The meeting will also help SCE evaluate the nature and timeliness of the NRC process for review and approval of the amendment. Separately, SCE representatives have informed the Atomic Safety Licensing Board, the independent, adjudicatory arm of the NRC, of the company’s consideration of submitting a license amendment. SCE would like to restart Unit 2 by the summer to meet peak customer demand for electricity. The San Onofre nuclear plant is the largest source of baseload generation and voltage support in the region and is a critical asset for reliability and in meeting California’s clean energy goals. Last week, SCE submitted a detailed operational assessment requested by the NRC that supports safe operation of Unit 2 at 100 percent power for 11 months to answer a request from the NRC related to the plant’s technical specifications. Approval of that assessment would eliminate the need for the license amendment. However, because the NRC may take substantial time to review this operational assessment, SCE is simultaneously considering the license amendment. If SCE pursues the amendment, it will submit a “No Significant Hazards Consideration” analysis demonstrating that the license amendment does not involve any significant safety risks. Regardless of whether an amendment or SCE’s 100 percent power operational assessment is approved, SCE will only operate Unit 2 at 70 percent power for an initial period of five months, following which the unit will be shut down for steam generator tube inspections. Additional background information about the potential license amendment can be found at www.SONGScommunity.com. More information, including videos that explain how a steam generator works and the role San Onofre plays in providing reliable electricity to the region, is available at www.edison.com/SONGSupdateand at www.SONGScommunity.com. San Onofre is jointly owned by SCE (78.21 percent), San Diego Gas & Electric (20 percent) and the city of Riverside (1.79 percent). Follow us on Twitter (www.twitter.com/SCE) and like us on Facebook (www.facebook.com/SCE). An Edison International (NYSE:EIX) company,Southern California Edison is one of the nation’s largest electric utilities, serving a population of nearly 14 million via 4.9 million customer accounts in a 50,000-square-mile service area within Central, Coastal and Southern California. The following statement was released today by Entergy concerning the Palisades plant both on its dedicated Palisades website and also on its Palisades Facebook page. "The Palisades nuclear plant is a safe and secure facility, and we have an NRC license to operate this facility through 2031. The Nuclear Regulatory Commission has str...ict rules, regulations and limits for all aspects of nuclear plant operations. This includes a program to monitor nuclear power plant reactor vessels and the potential impact of a rare accident scenario – pressurized thermal shock – in which a large amount of cold water is injected into the reactor resulting in rapid cooling of the reactor vessel. This is not a new topic or one that is unique to Palisades. In fact, for decades pressurized thermal shock has been well understood and well monitored by the owners and operators of the nation’s pressurized water reactors. Every pressurized water reactor plant in the nation is required by the NRC to continually update its calculations to confirm reactor vessel strength – meaning every plant must conduct periodic reactor vessel inspections and analyze reactor vessel samples. Consistent with these NRC requirements, Palisades will conduct these inspections and analysis during our refueling outage this fall. We have every reason to believe the test results will again demonstrate the safety and strength of the Palisades reactor vessel – which will enable us to continue operating through the end of our license in 2031. We will submit an updated evaluation to the NRC for its review in the spring of 2014. I have written about this investigation at Palisades before; click here. The immediate follow up to that post, which is just as important to read, can be found here. 3/18 - Press Release from Southern California Edison. ROSEMEAD, Calif., March 18, 2013 — A new technical evaluation of San Onofre Nuclear Generating Station Unit 2 demonstrates that the Unit 2 steam generators could be operated safely at 100 percent power and reinforces Southern California Edison’s (SCE) more conservative plan to begin operating Unit 2 at 70 percent power for five months. SCE submitted the operational assessment of potential Unit 2 steam generator tube wear to the Nuclear Regulatory Commission in response to NRC questions. The new evaluation determined Unit 2 could operate at full power for 11 months with full tube integrity. The assessment was performed by Intertek APTECH of Sunnyvale, CA, and supplements Intertek’s earlier assessment of Unit 2 operation at 70 percent power. Intertek performs operational assessments relating to steam generators for many nuclear power plants around the U.S.
SCE has proposed the reduced power operating level to prevent the conditions that caused premature tube wear in San Onofre Unit 3 and indications of wear in Unit 2. The San Onofre nuclear plant is the largest source of baseload generation and voltage support in the region and is a critical asset in meeting California’s summer electricity and clean energy needs. Both units at San Onofre are currently safely shut down. Unit 2 remains shut down since it was taken out of service Jan. 9, 2012, for a planned outage. Unit 3 was safely taken offline Jan. 31, 2012, after station operators detected a leak in a steam generator tube. More information, including videos that explain how a steam generator works and the role San Onofre plays in providing reliable electricity to the region, is available at www.edison.com/SONGSupdate and at www.SONGScommunity.com. San Onofre is jointly owned by SCE (78.21 percent), San Diego Gas & Electric (20 percent) and the city of Riverside (1.79 percent). Follow us on Twitter (www.twitter.com/SCE) and like us on Facebook (www.facebook.com/SCE). “The successful completion of the first concrete pour at V.C. Summer Unit 2 signifies the start of an exciting new phase in the delivery of our AP1000® plants in the United States. It is a milestone of global significance that positions our consortium team to move forward with work on the critically important module installation. “Westinghouse is proud to be delivering these technologically advanced nuclear power plant units to our customers in South Carolina. The AP1000 plant’s innovative passive safety systems, combined with its proven technologies, will enable South Carolina Electric & Gas (SCE&G) and Santee Cooper to provide safe, clean, reliable electricity to the citizens they serve, for generations to come. The two units at V.C. Summer will help power the economy with needed baseload electricity and provide well-paying jobs – both now during construction and during the future operation of the plant. “I applaud the team for the hard work that they have invested in the progress achieved to date at the V.C. Summer 2 and 3 site. Our top priority in the AP1000 new-plant business is to deliver new units to our customers safely, with the highest quality and in the most efficient manner. We are honored to have the opportunity to demonstrate this commitment to our customers at the V.C. 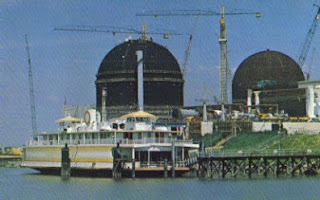 Summer site in South Carolina and the Vogtle site in Georgia, as well as the Sanmen and Haiyang sites in China. Westinghouse Electric Company, a group company of Toshiba Corporation (TKY:6502), is the world's pioneering nuclear energy company and is a leading supplier of nuclear plant products and technologies to utilities throughout the world. Westinghouse supplied the world's first pressurized water reactor in 1957 in Shippingport, Pa., U.S. Today, Westinghouse technology is the basis for approximately one-half of the world's operating nuclear plants. “This has been a week of momentous progress in bringing a new generation of safe, clean, reliable nuclear energy to the United States. In the span of a few short days, the foundations have been successfully completed for two new AP1000® units in the southeastern U.S. – the first new nuclear plants to start construction in the country in three decades. “I congratulate the hundreds of workers who supported the first concrete pour at Vogtle Unit 3 in Georgia, which was achieved early Thursday afternoon and sets the stage for the installation of key modules in the unit’s nuclear island. This is an important milestone for our customer, Southern Nuclear, and Westinghouse is honored that our AP1000 plant technology will enable Southern and its partners to meet the future energy needs of the citizens they serve. “The two AP1000 units under construction at the Vogtle site will generate the electricity that powers 500,000 homes and businesses in Georgia. These units are also powerful job-creation engines, employing a peak of 5,000 people during construction and providing 800 full-time positions during the plant’s operation. SCANA / SCE&G press release below, courtesy NEI. CAYCE, S.C., March 11, 2013-South Carolina Electric & Gas Company (SCE&G), principal subsidiary of SCANA Corporation (NYSE:SCG), completed on March 11, 2013, placement of the nuclear island basemat for V.C. Summer Unit 2 in Fairfield County, S.C. This major milestone is the first new construction nuclear concrete to be poured in the U.S. in three decades. "This is an exciting achievement for SCE&G, Santee Cooper, CB&I, Westinghouse Electric Company, and others who support our new nuclear project," said Kevin Marsh, chairman and CEO of SCANA. "We recognize the significance of this event and appreciate the strong commitment to safety and collaboration demonstrated by all involved in reaching this milestone." Lonnie Carter, president and CEO of Santee Cooper, which co-owns V.C. Summer, said, "This is a tremendous day for South Carolina as we work with SCANA to deliver new nuclear generation that will help ensure reliable, affordable electricity for decades to come. We've come to this point through the diligent and conscientious attention to task by everyone involved, from our crews to the Nuclear Regulatory Commission." The basemat provides a foundation for the containment and auxiliary buildings that are within the nuclear island. Measuring 6 feet in thickness, the basemat required approximately 7,000 cubic yards of concrete to cover an area about 250 feet long and 160 feet at its widest section. Completed about 10 a.m. today, this 51.5-hour continuous pour of concrete covered a surface totaling 32,000 square feet. About 1,550 workers are currently involved in constructing two new reactors at V.C. Summer, where Unit 1 has operated safely and reliably for 30 years. The new nuclear project will peak at about 3,000 workers over the course of three to four years. The two 1,117-megawatt units will add 600 to 800 permanent jobs and bring SCE&G's portfolio to 60 percent non-emitting sources when they start generating electricity in 2017 and 2018, respectively. SCE&G is a regulated utility engaged in the generation, transmission, distribution and sale of electricity to approximately 670,000 customers in South Carolina. The company also provides natural gas service to approximately 323,000 customers throughout the state. More information about SCE&G is available at www.sceg.com. SCANA Corporation, headquartered in Cayce, S.C., is an energy-based holding company principally engaged, through subsidiaries, in electric and natural gas utility operations and other energy-related businesses. In addition to its approximately 670,000 electric customers in South Carolina, the company serves more than 1.2 million natural gas customers in South Carolina, North Carolina and Georgia. 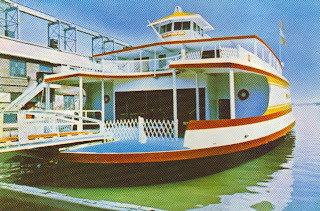 More information about SCANA is available at www.scana.com. It's very interesting that the SCANA / SCE&G Summer site project began later than the Vogtle project, yet poured basemat concrete several days before Vogtle. Whatever the case, it's very heartening that the concrete rebar issues are overcome and concrete is going in the nuclear islands. For more information, read the excellent entry at the Santee Cooper Blog on the concrete pour. Georgia Power press release below, March 14, 2013. ATLANTA, March 14, 2013 /PRNewswire/ -- Georgia Power has completed the placement of basemat structural concrete for the nuclear island at its Vogtle Unit 3 nuclear expansion site, a significant achievement in the building of the first new nuclear units in the United States in 30 years. "This historic moment marks yet another important milestone of the Vogtle expansion project and reflects the tremendous progress we've made at the site," said Georgia Power Nuclear Development Executive Vice President Buzz Miller. "We are very proud of this accomplishment, and of all the hard work and collaboration that went into making it happen. This was a team effort that included Georgia Power, Southern Nuclear, CB&I, Westinghouse Electric Company and our co-owners - Oglethorpe Power Corporation, the Municipal Electric Authority of Georgia and Dalton Utilities." Georgia Power is building two new nuclear energy facilities at Plant Vogtle units 3 and 4, near Waynesboro. The full outlines of both nuclear islands at Vogtle have been completed to grade level. The first components for erecting the Unit 3 containment vessel are completed and staged for installation once the basemat concrete has cured, including the CR10 cradle and the Unit 3 containment vessel bottom head. While maintaining focus on safety, quality and compliance, the basemat concrete placement was completed in approximately 41 hours. The placement at Vogtle Unit 3 encompassed approximately 7,000 cubic yards of concrete, which will serve as the foundation for all of the nuclear island structures, including the containment vessel and the shield building. It covered an area approximately 250 feet long and 160 feet wide at its widest point, and the concrete measured six feet in thickness. The construction of Vogtle 3 and 4 is the largest job-producing project in Georgia, employing approximately 5,000 people during peak construction and creating 800 permanent jobs when the plant begins operating. Once complete, the new units will produce enough electricity to power 500,000 Georgia homes and businesses. Unit 3 is scheduled to go on line in 2017, and Unit 4 will follow in 2018. The facility provides at least $4 billion more value to customers than the next best available technology, including natural gas generation. Georgia Power is in position to provide customers with up to $2 billion in potential benefits in the form of savings related to recovering financing costs during construction, DOE loan guarantees, production tax credits, lower-than-forecast interest rates and lower-than-forecast commodity costs. Southern Nuclear, a subsidiary of Southern Company, is overseeing construction and will operate the two new 1,100-megawatt AP1000 units for Georgia Power and co-owners Oglethorpe Power Corporation, the Municipal Electric Authority of Georgia and Dalton Utilities. Georgia Power owns 45.7 percent of the new units. Certain information contained in this release is forward-looking information based on current expectations and plans that involve risks and uncertainties. Forward-looking information includes, among other things, statements concerning job creation, benefits to customers and the completion of construction and other projects. Georgia Power cautions that there are certain factors that can cause actual results to differ materially from the forward-looking information that has been provided. The reader is cautioned not to put undue reliance on this forward-looking information, which is not a guarantee of future performance and is subject to a number of uncertainties and other factors, many of which are outside the control of Georgia Power; accordingly, there can be no assurance that such suggested results will be realized. The following factors, in addition to those discussed in Georgia Power's Annual Report on Form 10-K for the year ended December 31, 2012, and subsequent securities filings, could cause actual results to differ materially from management expectations as suggested by such forward-looking information: the impact of recent and future federal and state regulatory changes, as well as changes in application of existing laws and regulations; current and future litigation, regulatory investigations, proceedings, or inquiries; ability to control costs and avoid cost overruns during the development and construction of the Plant Vogtle expansion; regulatory approvals and actions related to the Plant Vogtle expansion, including Georgia Public Service Commission approvals, Nuclear Regulatory Commission actions, and potential U.S. Department of Energy loan guarantees; the inherent risks involved in operating and constructing nuclear generating facilities, including environmental, health, regulatory, natural disaster, terrorism, or financial risks; and the ability of counterparties of Georgia Power to make payments as and when due and to perform as required. Georgia Power expressly disclaims any obligation to update any forward-looking information. On the 11th, the first nuclear concrete was announced at V.C. Summer's plant expansion in South Carolina. For those who have followed my writings at other sites, though, there has been continued coverage as events and media news cycles warranted. That is the case today at the two-year anniversary of the event; readers are encouraged to find my article on the American Nuclear Society's ANS Nuclear Cafe website. Click here to read "Fukushima Two Years Later," a major piece on the event covering what we know today and where we're going, among many other things. Don't forget that Atomic Power Review has a large and unique collection of links to official Fukushima Daiichi accident reports from many varied sources. Click here for this link page. On Friday, late in the afternoon (but not late enough to bypass all of the media cycle) the NRC released documents that it had requested from Mitsubishi Heavy Industries, or MHI, regarding the San Onofre steam generator situation. This sort of document has never been released to the public before, and there is certain to be wide confusion over what it really says. I'm going to try to make the important points as clear as possible. However, the material is very technical, and since some very prominent people (Senator Barbara Boxer and Representative Ed Markey, to name two specifically) have decided that they are able to review such reports and come to solid technical conclusions, this post will be fairly involved so that the error of their conclusions becomes clear. Click here to see the MHI report and supplement. We can find a repeat of this information on page 61 of the supplement and references elsewhere. What does this mean? Well, for starters, here is a really important thing to understand: This phenomenon - that is, in-plane Fluid Elastic Instability - has never actually been seen in any operating steam generator before. Never. It's a phenomenon which is known about, as you can see, but which has always been prevented in every other steam generator (with, as the report says, perhaps the exception of those at one single other plant) by just what you've read above --- which essentially says "if you prevent A you can't get to B." It turns out that you can, if enough other small things either go wrong or are miscalculated in the process. As usual in the nuclear industry today, when something goes wrong, it takes a gigantic number of small items all put together to make it go wrong. In the case we are looking at with SONGS' steam generators, it turns out that a variety of factors has led to the supports and parts that are intended to align the U-tubes inside the steam generators not being able to provide the amount of proper restraining force in the proper directions. Now, many have heard about the statement (which came out a while back) that MHI used incorrect assumptions in its computer codes when calculating various parameters for these steam generators. This error appears to have led to an underestimation of the void fraction -- or how dry the steam gets -- and this directly leads to fluid elastic instability. So the steam generators can make dryer, higher velocity steam in the zone of the U-tubes than calculated originally. Still, this would be far less of a problem if the support structures (AVB's or Anti Vibration Bars, primarily) were sufficient. I am pointing out the fundamental assumption that in-plane is prevented if out-of-plane is prevented as the basic cause because that assumption leads to omitting any serious consideration, investigation, experimentation into the "what if" occurrence of in-plane FEI. Had MHI (or any other builder, really) been forced to conduct such an investigation every time, this whole scenario may have been prevented. Industry standards have always said "not required," and finally after all these years, and after Mitsubishi having made something like 90 or more steam generators since 1970, in-plane FEI finally did appear. What about the other kinds of vibration and failures? We can see pretty clearly that variation in manufacturing the steam generators for the two units led to far higher failure rates at Unit 3 than Unit 2. 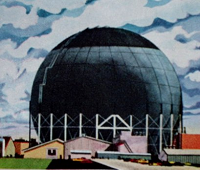 The Unit 2 steam generators were made first, Unit 3 later; tolerances were tightened up on Unit 3's parts, meaning just that variances in all parts of a given type were smaller. What this actually appears to have done is reduce some of the contact between U-tubes and supports in Unit 3, allowing more range to vibrate. If one reads the report, all the way through the conclusions and remedies, it's clear that Mitsubishi understands how to fix the problem in future manufacturing. The Big Question: Did Anyone Know Before? I seriously question the ability of two elected officials to be able to properly analyze any such technical report; thus, either Senator Boxer and Rep. Markey have attempted this themselves and failed quite badly, or else they've had it done for them. However, it's quite clear from reading the report that the portion that they have quoted in their letter (and press releases, and articles to the press for wide publication) is taken deliberately out of context, and then deliberately (and slanderously) misinterpreted. "The Team concluded that the SONGS design was significantly more conservative than previous designs in addressing U-bend tube vibration and wear." "..MHI did compare the SONGS RSG design with previous steam generator designs, and in particular did a detailed evaluation of different options of the AVB design taking into account other large steam generator designs." So we see two things here: First, MHI considered its design conservative and safe. Second, MHI did in fact compare other designs in building the SONGS steam generators -- and all that previous experience (as I showed above) says "prevent out-of-plane and you're safe on in-plane." MHI at the time of delivery of the units thought it had IMPROVED the Unit 3 steam generators, in fact. "Based on experience gained in the fabrication of the Unit 2 RSGs, additional precision was incorporated into the fabrication of the Unit 3 RSGs to more efficiently implement the effective zero gap, uniformity and parallelism of the U-bend assembly." "In October 2005 the AVB Design Team agreed that the RSG design was optimized for the SONGS application. At the time of shipment of the SONGS RSGs it was believed that they had greater margin against U-bend tube vibration and wear than other similar SGs." Now we can see clearly that MHI felt that it had developed replacement steam generators for San Onofre which were world-class in their design prevention of tube vibration, based on all the years of experience MHI has had in fabricating steam generators for PWR-type nuclear power plants. So what are Boxer and Markey calling out as "proof MHI and SCE knew the design was bad?" Well, there are portions of the report in which MHI attempts to detail some of the design process for these steam generators. As some may know, there is a requirement covering nuclear plant replacement parts (known as 10CFR50.59) that requires the parts be what we might call "like for like" or else exceedingly close replacements. If they're not, license amendments are required. In fact, SCE got TWO -- that's right, folks -- TWO license amendments for these steam generators. You can see them both -- click here and also click here. None further was deemed necessary; the NRC signed off on the steam generator design as being sufficient to satisfy 10CFR50.59. Southern California Edison fully believed the steam generators were sufficiently well designed to preclude any such problems. Click here for a large press release on just this topic by SCE. During the design of any such large piece of equipment a variety of considerations are made - essentially a "we could do this, or do that" kind of process to finalize everything --- materials, thickness of those materials, size and number of components and so on. Decisions have to be made about all of these things together as a harmonious unit in order to both get a workable (safe, efficient) design and also to satisfy regulatory requirements. Some very excellent designs might not work -- they might not fit, or they might be too heavy. They also might vary enough from the original design, or accepted designs, that a major further revision and many further license amendments would be required. Of course, you could come up with a simple and inexpensive design (a low end option) that isn't good enough and is too small .. just to point out a range of ideas. What appears to be the case (to this writer) is that MHI dialed in a design that it felt was superior in its conservative approaches to other steam generators, fit the size-weight-power-durability envelope dictated by the plant as it was originally built and operational life requirements and did not have so many design alterations that more license amendments were required. This is an exceedingly simple way to explain a very highly complicated and technically involved situation, but it works well as a very basic description. As we see from the links above, not only did Southern California Edison agree, but so did the NRC. The Mitsubishi RSGs were delivered with a warranty. Payments on the warranty by Mitsubishi to the tune of $45 million have already been made, and this has been publicly reported after SCE reported the payment to the state regulator. NOTHING in what you've just seen hints that anyone at MHI, SCE or NRC "knew they were bad." None of it. This is at best a rookie interpretation of a technical report by someone who has not done this before. At worst, it's slanderous. Mitsubishi Heavy Industries has a decades-long history of constructing nuclear power plants. It first worked as a partner in a license agreement with Westinghouse, and later went on its own. According to sales information here, Mitsubishi has constructed 24 PWR nuclear plants in Japan, and of these 20 were designed, manufactured and constructed by MHI as the prime contractor (the earliest 4 were Westinghouse nuclear plants built outside Japan and imported.) The only nuclear plants allowed to start up post-Fukushima and thus now operating (Ohi 3 and 4) in Japan are Mitsubishi PWR plants. Also, Mitsubishi built the first steam generator ever made in Japan (for Mihama Unit 2 in 1970) and since then has built over 90 steam generators either for brand new nuclear plants or for replacement of older types. Perhaps more importantly, MHI is right now still in the process of attempting to get its highly modern US-APWR nuclear plant licensed for operation here in the United States, for operation at North Anna and Comanche Peak (prospective builds.) The false allegations by Boxer / Markey could damage Mitsubishi's reputation, affect these projects, and negatively impact its business. This is deeply disturbing - that unqualified persons in public office have requested public release of a type of report never previously released, and then deliberately misinterpreted the findings in order to achieve a political end (the shutdown of San Onofre) -- also possibly damaging the business of a private corporation. One would hope I'm wrong about Boxer and Markey's agenda. I'd love to know who interpreted this MHI report for them. I'd like to believe they've been misled. I'm willing to read a retraction from them on their allegations that parties involved deliberately supplied known bad equipment. Sure there is. Some people are telling the politicians to shut up and get out of the process. One piece in the U-T San Diego was titled "Let Engineers, Not Politicians, Decide San Onofre's Fate." Another such piece, also recent, was titled "San Onofre Grinding Toward Restart - Despite Carping." I hope people are coming to realize that the prospect of shutting down nuclear plants and then also stopping import to California of fossil-generated power means hard questions about where to get the power that California needs. They're for sure also realizing, as we see from the two linked local articles, that there is a whole lot of political grandstanding going on. With any luck, the engineers will figure out the solutions, the politicians will get out of the details and step back into their elected roles, and the plant will be allowed to restart Unit 2 with a new 70% power cap for testing to see if the FEI is avoided, as is now believed, completely at that level of power. If that test occurs and proves out to be valid and sustainable, it's conceivable that the plants could get back on the grid and assist with system stabilization and improve reliability -- to say nothing of beginning to recover monies spent by providing electricity and revenue therefrom. "Redacted" -- Some of the MHI report has been removed because it contained proprietary information -- information that could compromise MHI's business. Those portions removed are hinted at in the report by empty brackets. It concerns manufacturing details and design features that MHI must have patented, and doesn't want others to use. After reading the report, I'm not worried that any redacted material might have changed my conclusions. Click here to see a good APR primer on Steam Generators. Click here to see a more detailed post on Steam Generator design - with guest Meredith Angwin. Details of the restart plan for Unit 2 for testing are given in this press release. Recent polling shows majority believes nuclear is required and San Onofre is safe. 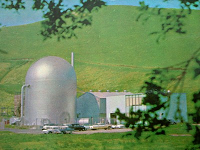 SCE Information Package on San Onofre -- Facts vs. Myths. Worth a look. SCE directly addresses Boxer / Markey letter. I will be keeping a close eye on this situation -- as I have from the beginning -- and providing updates on this site as they're warranted, in addition to the normal press releases from involved parties. 3/8 -- Press Release below courtesy Southern California Edison. A comment from me follows. ROSEMEAD, Calif., March 8, 2013 — An evaluation by Mitsubishi Heavy Industries (MHI) made public today cites ineffective tube supports, dry steam and high steam flow velocity as causes of excessive wear in the steam generators MHI supplied to Southern California Edison's (SCE) San Onofre Nuclear Generating Station. SCE previously disclosed these same causes based on its own investigation, and the Nuclear Regulatory Commission's (NRC) augmented inspection team report last July found that MHI's use of faulty computer modeling in the design process caused MHI engineers to inadequately predict the dryness of the steam, measured by void fraction, in the replacement steam generators. MHI repeatedly reassured SCE of the efficacy of the design. During the design phase of the project, MHI advised SCE that, based on its own review and analysis, the maximum void fraction that MHI expected to occur was acceptable, did not require additional design changes or measures, and that the replacement steam generators would perform as warranted. "SCE's own oversight of MHI's design review complied with industry standards and best practices," said Pete Dietrich, SCE senior vice president and chief nuclear officer. "SCE would never, and did not, install steam generators that it believed would impact public safety or impair reliability." 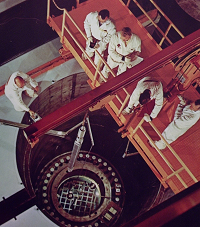 In fact, MHI states in its root cause report (page 41), that its analysis of conditions in the steam generator during the design phase (which calculated void fraction and steam flow velocity) concluded that the thermal hydraulic conditions in the San Onofre steam generators were acceptable, and specifically that there was no need to reduce void fraction1. Additionally, SCE never rejected a proposed design change to address void fraction based on its impact on compliance with 10 CFR 50.59. "At no time was SCE informed that the maximum void fraction or flow velocities estimated by MHI could contribute to the failure of steam generator tubes," said Dietrich. "At the time, the design was considered sound." SCE is disappointed that MHI decided on its own to redact some information in its evaluation about the flaws in the computer codes. However, the NRC publicly disclosed the computer code flaws three months before MHI completed its evaluation. In addition, the corrective actions and other statements included in the evaluation make it evident that there were problems with the computer modeling that failed to predict conditions that led to the tube-to-tube wear. SCE has proposed operating Unit 2 at 70 percent to decrease velocity and decrease steam dryness to increase damping, thus preventing the conditions that led to excessive wear. The proposed restart plan was validated using a different computer model and has been reviewed by independent experts. The San Onofre nuclear plant is the largest source of baseload generation and voltage support in the region and is a critical asset in meeting California's summer electricity and clean energy needs. Both units at San Onofre are currently safely shut down. Unit 2 remains shut down since it was taken out of service Jan. 9, 2012, for a planned outage. Unit 3 was safely taken offline Jan. 31, 2012, after station operators detected a leak in a steam generator tube. About Southern California EdisonAn Edison International (NYSE:EIX) company, Southern California Edison is one of the nation's largest electric utilities, serving a population of nearly 14 million via 4.9 million customer accounts in a 50,000-square-mile service area within Central, Coastal and Southern California. 1MHI Root Cause Analysis, page 41: T/H condition "was judged acceptable by FIV analysis" and "T/H analysis (FIT-III) did not indicate the necessity to reduce the high steam quality (void fraction)." NOTE FOR APR READERS: I am presently reviewing the reports from MHI and will have further commentary posted on this blog over the weekend.